Superior quality window guards at lowest possible prices, manufactured to individual templates so as to ensure correct fitting within the traceries. Stainless or galvanised steel mesh guards in black finish. 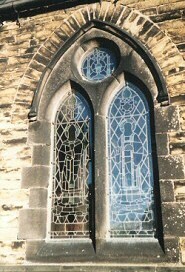 Fitted within traceries or over complete windows. Secured with stainless steel clips and stainless steel screws. 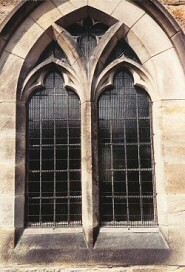 Polycarbonate transparent window guards, fitted within traceries, manufactured to allow for adequate ventilation and thermal expansion. These can be removed and refitted for maintenance purposes. We offer both a Supply & Install service, and a Supply Only service. Please telephone us for more information.